Strongly desired by Erik Comas , the Zenith El Primero World Stratos Meeting became a reality thanks to the Swiss watch maker’s support. The meeting was held in Biella, city of Piedmont in northern Italy where the Stratos was developed at Claudio Maglioli’s workshop. It seemed obvious to celebrate in that that same city the 40th anniversary of the final victory of the Stratos in the 1976 World Rally Championship. 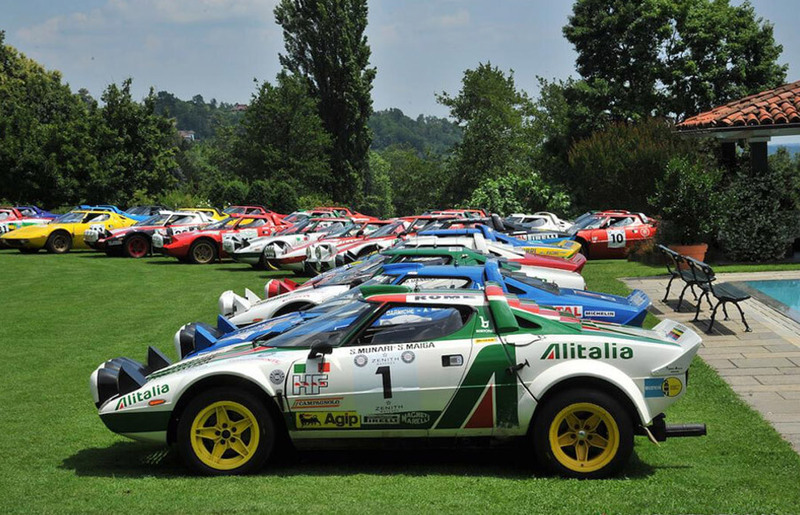 The World Stratos Meeting saw an outstanding amount of participants with 45 Stratos displayed at the Domo square in front of the Battistero emblem monument of the town and have allowed for some remarkable pictures that will forever remain in the memories of thousands of visitors. 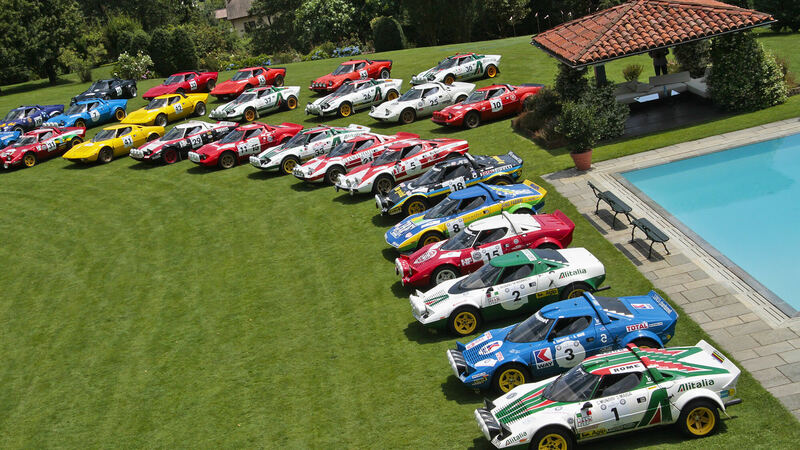 This is where the press conference was held on Friday June 24th, next to the 45 Stratos and their respective owners. Zenith Watches CEO Aldo Magada and Erik Comas opened the ceremony by presenting the stunning Zenith El Primero World Stratos Meeting 40-pieces limited edition watch. The rumbling noise generated by the 45 engines firing together gave chills to both those fortunate enough to have encountered the Stratos in the past and to those who had yet to hear her. The dinner that followed had a fantastic atmosphere, bringing together fans and collectors in 1 big celebration that also enable them to meet some of the main actors of the stratos’ glorius past such as Sandro Munari, Tony Fassino, Piero Gobbi, Piero Sodano and the local 1976 Rally Lana Winner Gianni Besozzi. Saturday morning the Stratos were out for a ride to the highest point of the Biellese area, enjoying a lunch break at the Oazi Zegna property of Ermenegildo Zegna fashion company. Participants were then joined by some of the drivers and co-drivers from the past, namely; Silvio Maiga, Amilacre Balestrieri and Daniele Audetto who brought back to life some of their great authentic stories from one of rallying’s best era. The World Startos Meeting combination with the Lana Rally was purposely done in order to allow for the Stratos owners to drive on an official special stage, this time without time keeping. 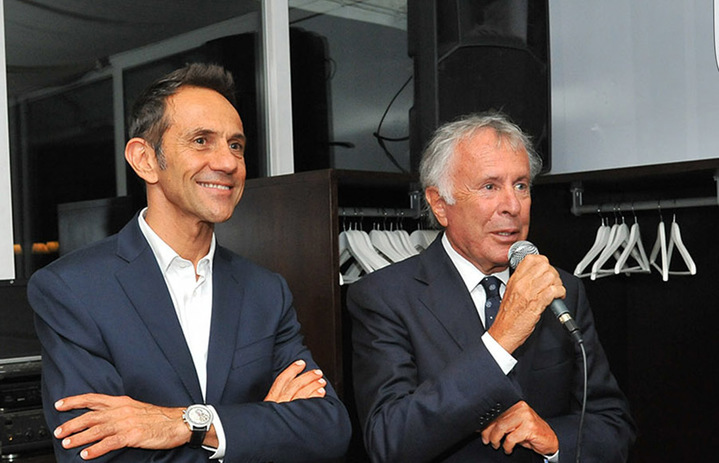 During the Gala party held at “Faggi sports club”, Erik Comas introduced other prestigious guests including Cesare Fiorio, ex F1 Scuderia Ferrari’s sports director and father of the Stratos without whom the car would have never exist. A special prize was awarded to Mark Ketcham for being the participant having travelled the most distance to join the event, having come from California with his lovely family who all very enthused about the weekend. Also present was Michael Stoschek, the German business man and previous organiser of the first World Stratos Meeting back in 1986, with the unique black New Stratos built in 2010 as his own still Ferrari-based prototype. On Sunday 26th the owners again had the privilege of participating in another special stage before reaching lunch to witness a fabulous buffet at the “La Vigna” property of the world known Stratos collector Guido Avandero. The concluding festivity of the World Stratos Meeting allowed for the Stratos owners to climb on the final podium with the competitors of the Rally lana at “Gli Orsi” commercial centre. All were heartily thanked by Erik Comas, who was very proud to have done the biggest Stratos meeting ever.